Read below or Download epub file here to read offline. My friend Tefo told me that mamma was going to be given jewellery the following day. I knew it was her birthday and I was delighted, but also puzzled, since few people in Bramfischerville had birthday presents. It took all mamma could do just to feed us. She went out at night, leaving Khoza, the eldest, to look after us, but she never told me where she went, and Khoza told me never to ask. All I know is, mamma went out at night and brought us things. She was kind to us; she gave us food and clothes. I was puzzled about her gift, but it made me happy. Mamma deserved it. We had been moved from Alexandra to Soweto by the authorities, who said Alexandra was overcrowded. Bramfischerville was the newest part of Soweto but the houses were tin shacks and we had no water. As before, we had to make do. 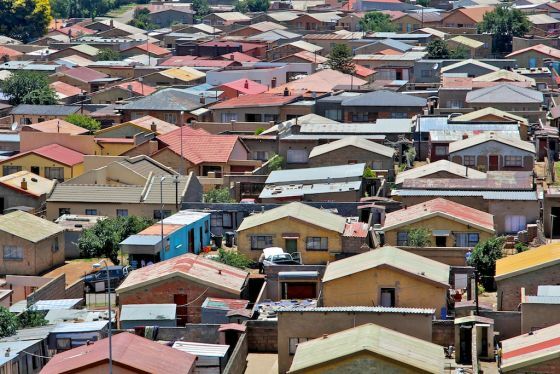 Soweto was huge, and we could no longer see across the high veld to the north, or to the gleaming white-man’s shopping malls and hotels of Sandton to the south. Mamma said things were different here, but despite the new surroundings, they didn’t look very different to me. Tefo was my first friend in Soweto. He had one of the stone houses, with running water and carpets on wooden floors. He had a whole room to himself. I went there a lot, watched TV and played in his room. We closed the door and could talk about things so that no-one else could hear, or do things no-one could see. It was here that Tefo first showed me the gun, the gun I use now. He taught me how to load it, how to hold it, and how to use the safety catch. He told me that town people used guns to make money from selling cars. At first I was too frightened to touch it, but he called me chicken. So I held it. I hated doing it, and mamma would beat me if she knew. But I wanted to stay friends with Tefo, and to this day no-one knows. Crouched behind this bush now, with the sun on my back and the gun in my hand, it’s hard to imagine feeling so young again, even though it wasn’t so many years ago. It’s just the way of things. It’s why I can hear the click-click-click of the fence as electricity goes round the wires, and why the gates to the house are so high. It’s why the grounds are so large that you can’t see the house from the fence. It’s why some houses have their own guards, who also have guns. But not this one, which of course is why I am here, waiting for the car to come. It is the way of things. Mamma never came home for her birthday. She went out the night before and just didn’t come back. I wasn’t scared at first, but when Khoza started running round the streets shouting for her, I began to worry. I called out for her too, but people ignored us. I couldn’t understand this, because the town people were usually very friendly to us. We stuck together. We had to. But not this morning. And then Tefo came and told me I had to leave. “Where’s mamma?” I asked him as he grabbed my arm and started marching me towards his house. I didn’t understand why he said that, but I trusted him and went with him back to his house. He took me to his room and locked and door, and when he spoke to me again there was fear in his eyes. “It’s your mamma’s birthday?” His whole body seemed to shrink. There was a look in his eyes that I remember to this day. And will remember for the rest of my life. “She’s getting a necklace,” he said quietly, and left the room, closing the door behind him. I was supposed to stay there, but didn’t of course. I crept out and headed for the sound of people gathered. I hid behind a pile of wooden crates and could see, at the centre of the crowd, my mamma. The look on her face was the same as on the white-man’s face I see now, with my gun pointing at him through his car window. She was strapped to a big chair, just as the white man wears a seat belt now. Two men stood over her, one with a tyre and another with a burning torch. Somebody was shouting but many in the crowd were sniffing, as if trying not to cry. The man put the tyre over mamma’s head, so I could only see her hair. Then he poured something from a rusty can over the tyre, and stepped back. He touched the tyre with the torch. The car window in front of me explodes. I have a stone house in Soweto. We have running water, and floors with wooden boards and carpets. I am proud that I can provide for my family. I give food and clothes to my wife and our son and all my brothers and sisters. Today it is my birthday.